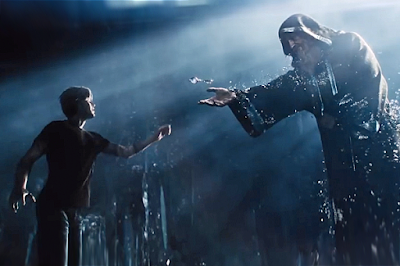 Launching on Thursday to get a jump start on the Easter holiday weekend, Steven Spielberg's Ready Player One topped the box office across the pond. The movie earned $41.2 million across the three-day weekend, with a total of $53.2 million, according to studio estimates. Worldwide, the new movie took in $181.2 million, which is a solid start, and audiences seemed to like it, boding well for its future performance. Second place went to Tyler Perry's latest, the Taraji P. Henson-starring Acrimony. The revenge thriller took in $17.1 million. The new arrivals pushed Black Panther down a place to third, but the superhero pic still earned $11.2 million, passing $650 million in the States alone. Fourth was I Can Only Imagine on $10.7 million, while Pacific Rim Uprising, faced with new sci-fi competition, fell to fifth with $9.2 million. Globally, the situation was a lot healthier, as the movie has taken in a total of $231.9 million. Sherlock Gnomes was sixth, earning $7 million, while Love, Simon stayed in seventh place with $4.8 million. Tomb Raider took in $4.7 million, above A Wrinkle In Time, which slipped down to ninth place, making $4.6 million. Finally, at 10th, we find religio-drama Paul, Apostle Of Christ, which earned $3.5 million.